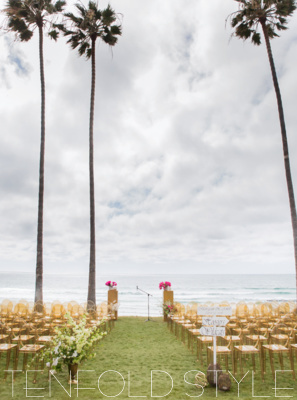 A modern, romantic seaside wedding with a golden thread. 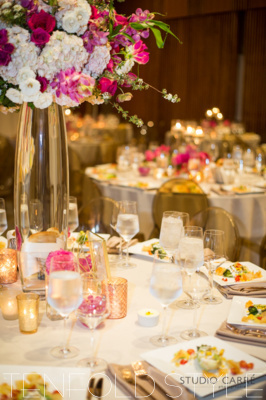 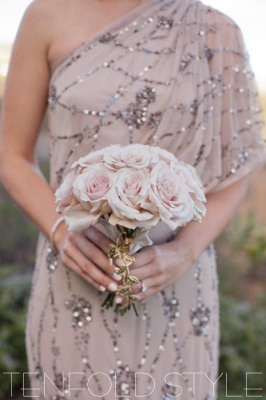 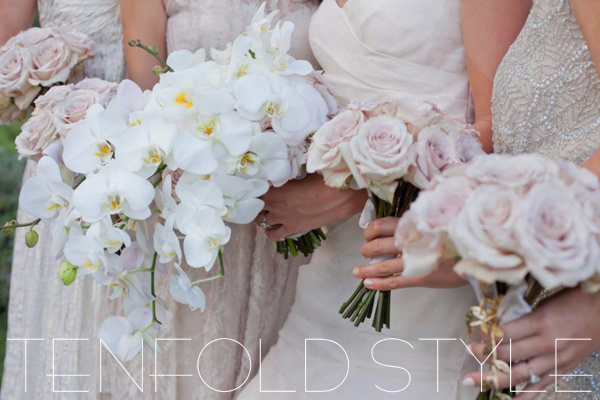 All styling, décor and florals by Tenfold Style. 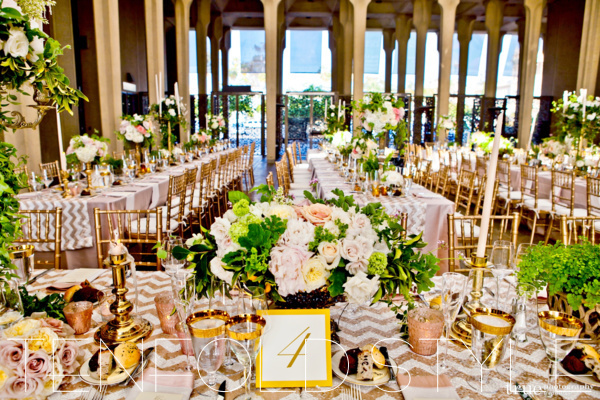 Gold Wedding at the San Diego Museum of Art. 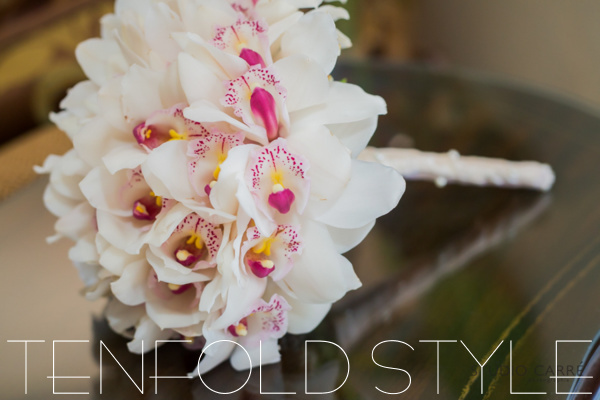 All décor, florals and styling by Tenfold Style. 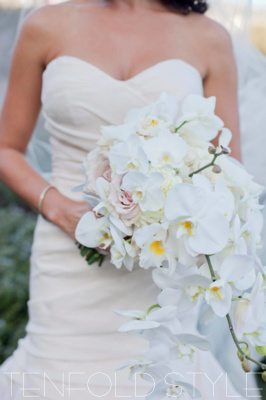 Romantic oceanview wedding with dusty rose and white accents. 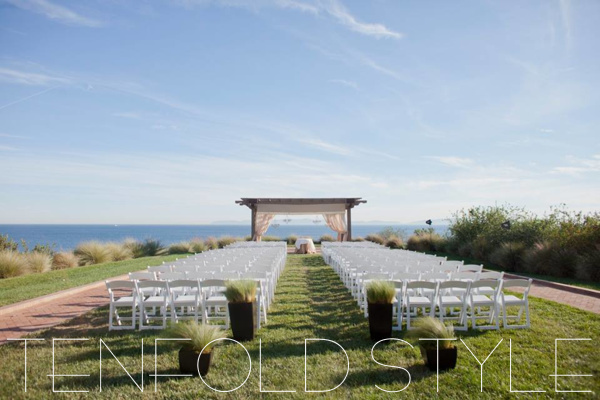 Fabric for arbor was gold-leafed by hand and custom designed for the ceremony. 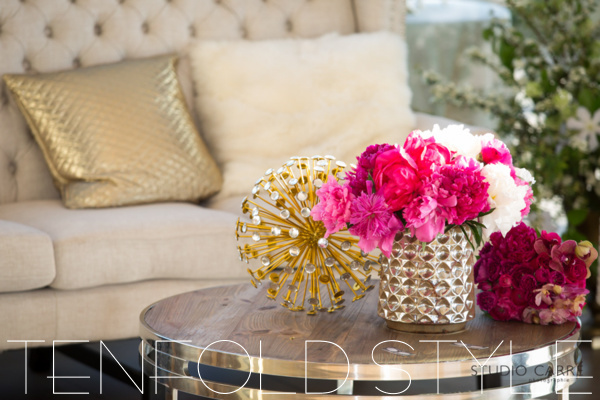 All décor, florals and styling by Tenfold Style. 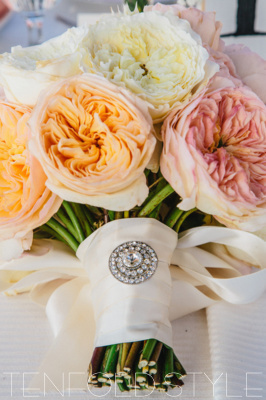 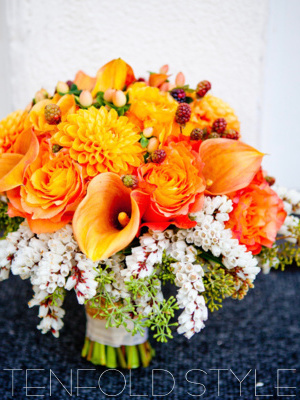 Garden Wedding with mixture of apricot and peach tones. 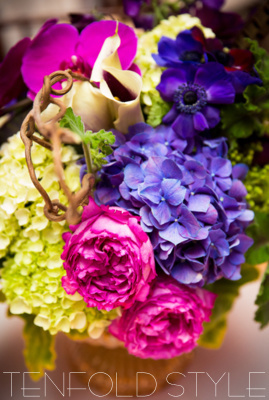 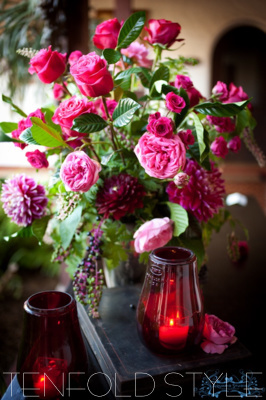 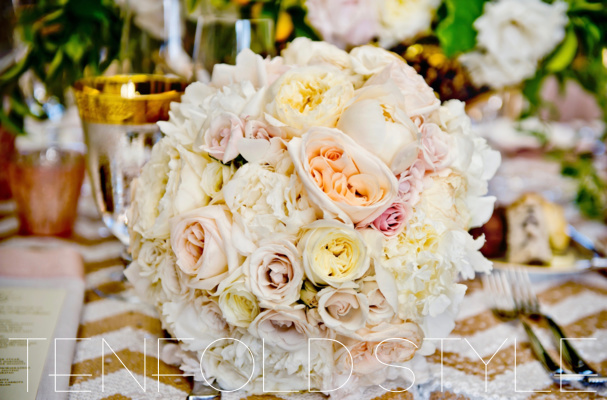 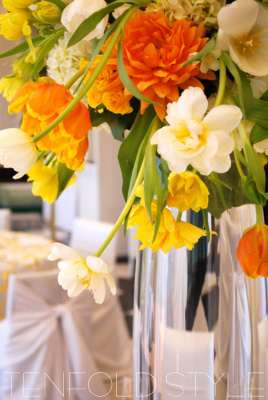 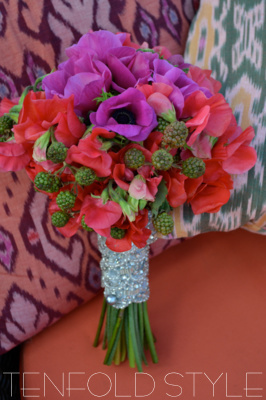 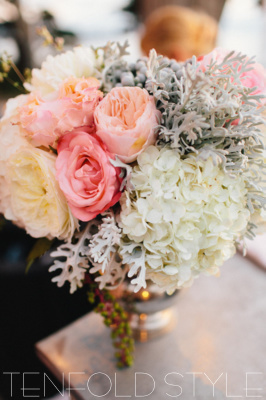 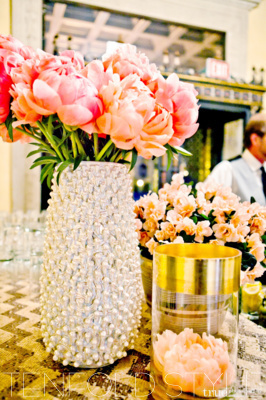 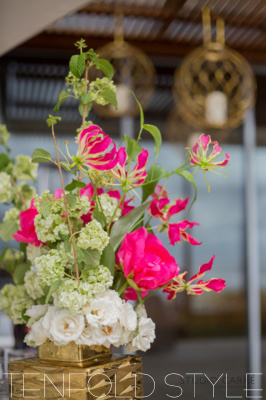 Floral designs and décor by Tenfold Style. 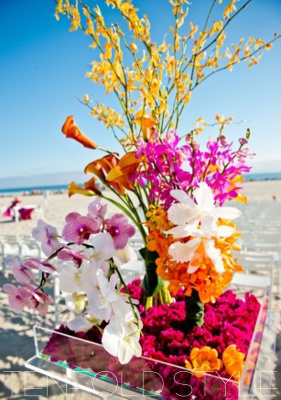 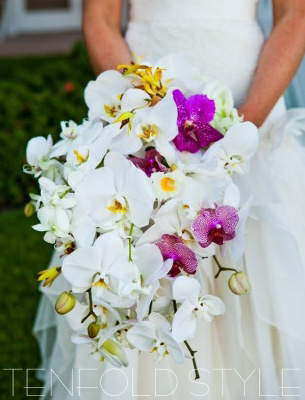 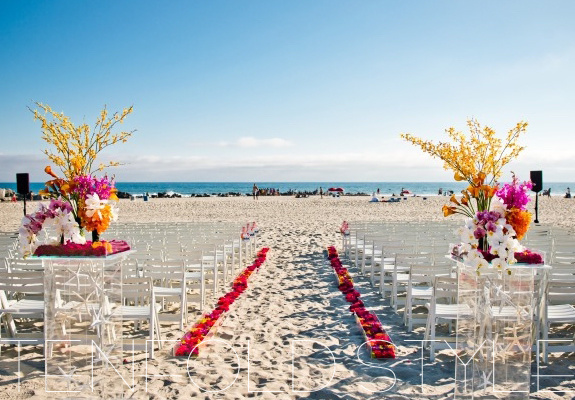 Tropical beach wedding featuring orchids in bright summer colors. 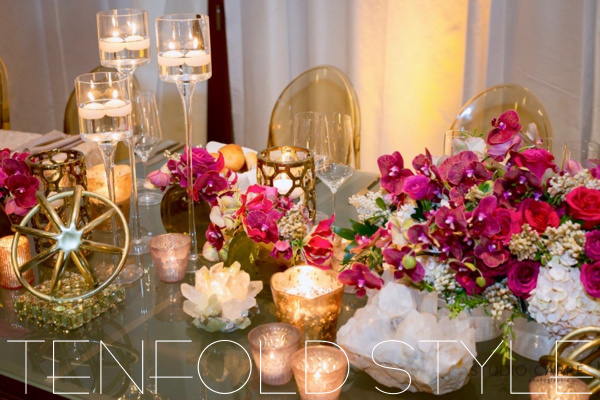 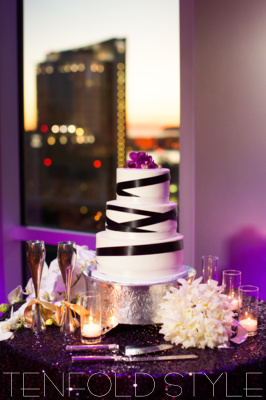 Custom acrylic pedestals for aisle, floral, event design and styling all by Tenfold Style. 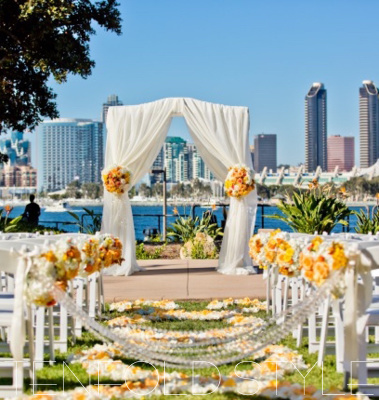 Citrus themed wedding overlooking San Diego Bay. 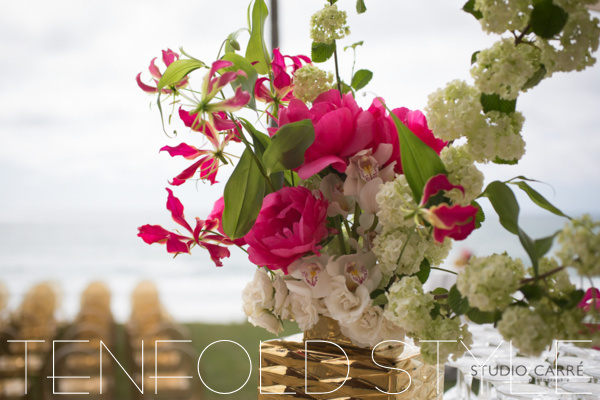 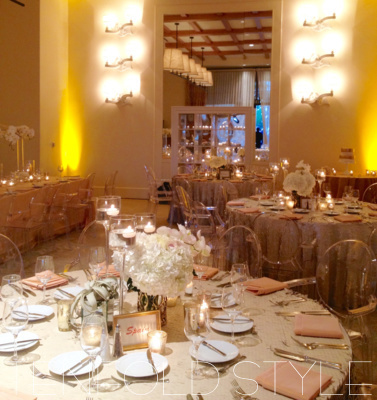 Custom aisle décor, chuppah, florals and event design all by Tenfold Style. 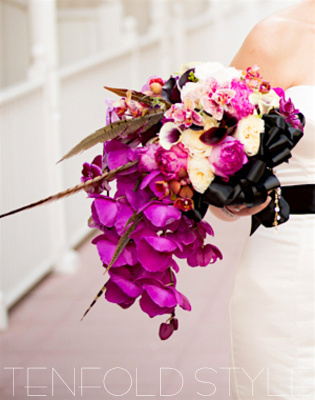 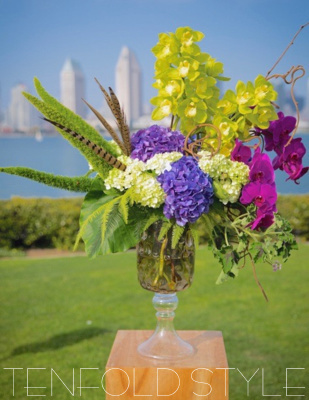 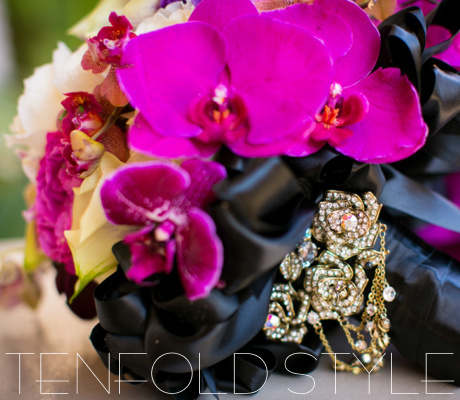 Edgy, modern design featuring purple cascading orchids, feathers, black ribbon and jewel accents. 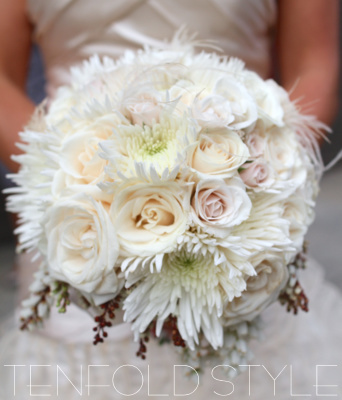 All design by Tenfold Style. 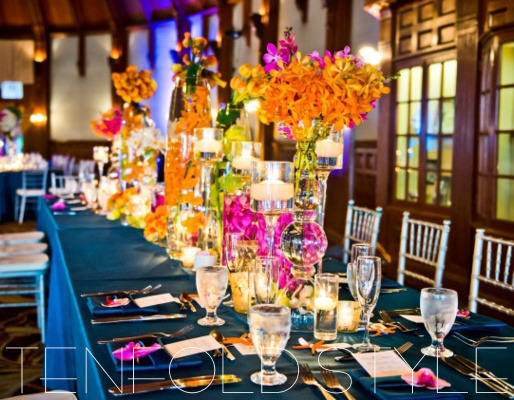 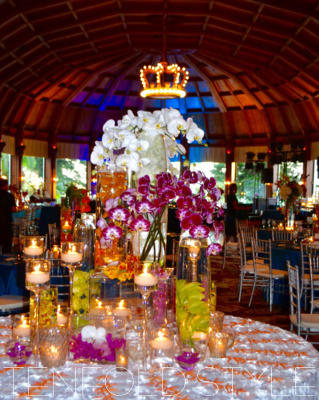 Tropical modern designs with bright, bold colors, feather accents and lush greenery. 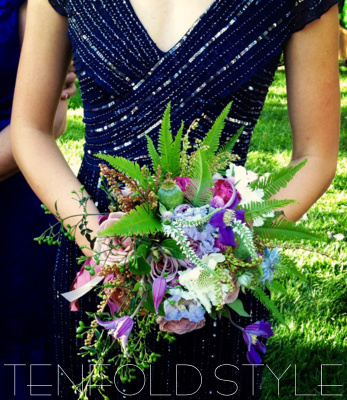 All designs by Tenfold Style. 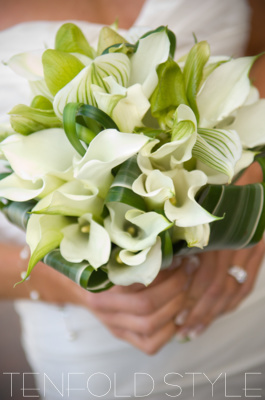 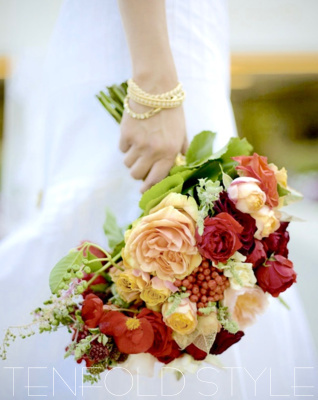 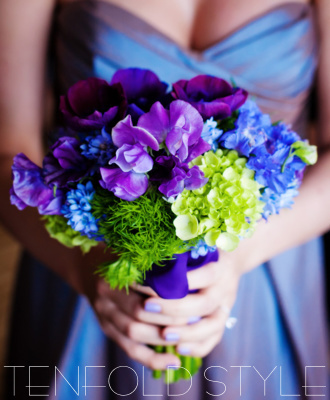 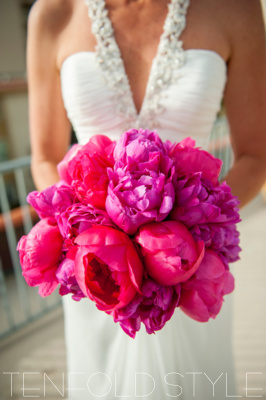 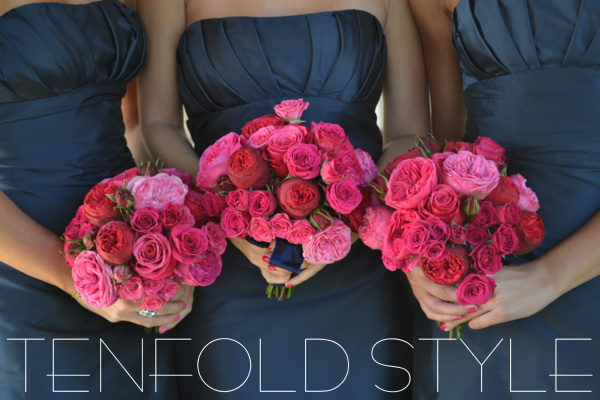 Collection of bridal and bridesmaids bouquets, all by Tenfold Style.